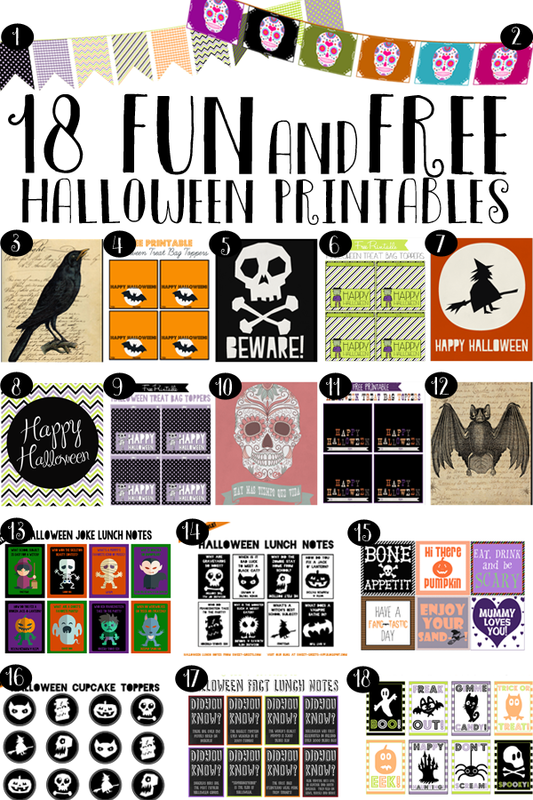 Here's a collection of various Halloween printables that have been published here over the years. They include lunch notes, bunting, treat bag toppers and 8x10 prints. Just follow the links below to download.